← The Blessed Month of Ramadhan – Marhaban ya Ramadhan! In some countries, today is the final day of the Holy Month of Ramadhan, while in others, it is the penultimate day. 1) Feel the intense sadness that Ramadhan is leaving us, together with its blessings and forgiveness and barokah. 2) Feel the regret about the time wasted in this Holy Month, and double efforts to do as much ibadah as humanly possible in these last days, and nights. 3) Pray to Allah, that we be amongst those who will meet the next Ramadhan to come, and make a sincere intention to improve further, the standard of our fasts, in the coming Ramadhan. 4) Pray to Allah, that He accepts whatever little we have sent forth in this month by His Infinite Grace and Mercy, and that He allows us to leave this month, sin-free and with Spiritual advancement and that Ramadhan does not complain about us in the Divinely Presence of Allah Almighty. 5) Make a sincere intention to continue practising the good deeds that you have done in Ramadhan – like eating less, talking less, praying more and reading Qur’an, doing Zikrullah. Also make intention to leave all bad deeds that you have left in Ramadhan – like backbiting, overeating, laziness, overspending, time wasting etc. There is no Solatul Terawih on this night. Instead, we are to do the takbir – Allahu akbar (three times), Lailaha illalhu Allahu akbar, Allahu akbar wa lillahil hamd. The recital of this takbir may be done until the start of the Hari Raya / Eid prayers the next day. 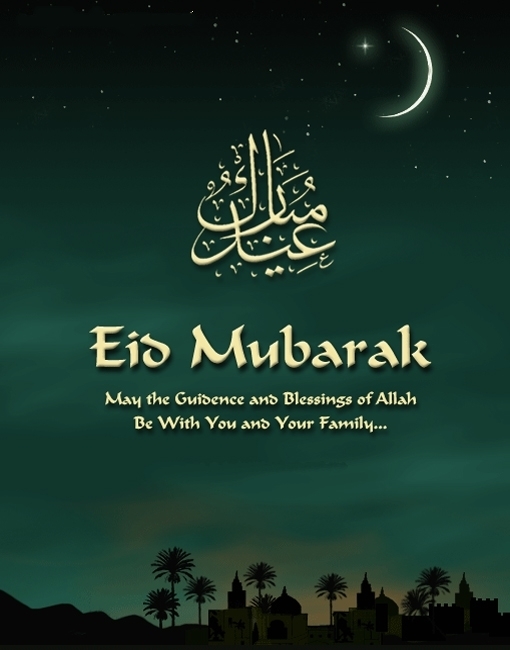 It had been the practice of the Prophet (saw), that he would not sleep in the night preceding the day of Eid-ul-fitr. This night has been named in a Hadith as the Night of Reward (Lailatul Jaiza). Almighty bestows his rewards on those who have spent the month of Ramadan in sincere worship, and all their do’as/prayers in this night are accepted. Hence one should not be busy shopping, cooking, decorating or parting on this night, it is Night Allah looks at His Servants and Rewards them for the month of sacrifices they had endured. Zakat Fitrah must be paid before the Eid prayer. If it is paid after the Eid prayer, it becomes a normal charity. The payment of Zakat Fitrah is calculated as 2kg of rice or dates, that is given to the poor. It is best to give it in the form of rice or dates, not as money. Zakat Fitrah cleanses the giver of all superfluous and wasteful acts done during fasting e.g. talking excessively. The head of the family must pay the Zakat Fitrah on behalf of his family. One who pay Zakat Fitrah, cannot receive it. 1) Before going to Eid prayer, it is Sunnah to bathe. to put on perfume and to eat a light meal. It is forbidden to fast on this day. 2) Given the choice of praying at the mosque or at a Multi Purpose hall, stadium or open space, choose the latter. The Prophet (saw) did not perform Solat Eidul Fitri at the Mosque, he held it at the open ground, so it is a Sunnah to do that. 3) Women and children are also encouraged to join in the festivities by going to that gathering. Even menstruating women may go, and although they cannot pray, they can listen to the Eid Khutbah. 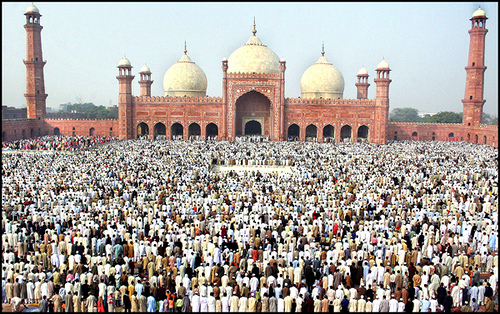 4) In the Eid prayer, the Khutbah is after the prayer (unlike Friday prayers when the Khutbah is before the prayer). Do not talk during the Khutbah – listen respectfully, as if it were the Prophet (saw) speaking to you from the mimbar. 5) The Eid Solat is a two raka’at prayer. It is identical to any other 2 raka’at prayer except that there are some extra takbirs (Allahu akbar) inserted in each raka’at. In the first ra’ka’at, between the Takbiratul ihram and Suratul Fatihah, there are 7 additional takbirs. In the second raka’at, before reading Suratul Fatiha, there are 5 additional takbirs. (This is for followers of Mazhab Shafi’e) Intention: I am performing my Solat Sunnat Eidul Fitri prayer, 2 raka’at, for the sake of Allah. 6) Return home by a different route from which you came. This is also a Sunnah of the Holy Prophet Muhammad (saw). 7) If you missed the prayer at the mosque because you woke up late, you may pray this Solat Eid at home, on your own. Just make the intention, and pray a two raka’at prayer, remembering to add the 7 extra takbirs in the first raka’at, and the 5 extra takbirs in the second raka’at. The prayer can be done anytime from 15 minutes after sunrise to just before the azan of Solat Zuhur. Once past the azan of Zuhur, the time for the Eid Solat has lapsed. 8) Seek forgiveness from family and friends all day long. Forgive all those who have hurt you in any way too. Give priority to parents, in-laws, grandparents, elders, ustads, teachers and senior members of a family, when visiting. 9) You have spent Ramadhan in isolation, uzlah and iktikaf, so spend this day in visiting, and joining family ties. 11) Spend the day in good acts, like zikir, charity and ensure that you perform all your fardhu prayers. So many people skip compulsory prayers on this day, on the pretext that it is inconvenient to pray while on the move. Do not destroy your Ramadhan’s deeds in a day! The effect of performing a Haji or Umrah, is seen when the person returns from the Holy Lands – has he turned out for the better? Similarly, the effect of Ramadhan is seen when a person finishes Ramadhan – has he become more obedient, more fearful of defying Allah – or is he the same? You be the judge of your own Ramadhan. 12) Many ladies dress provocatively on this day, so as to look ‘attractive’ for visiting. Dress modestly, and Islamically. 14) Solat al-Khusama can also be done on this day, usually between Zuhur prayers and Asar. Taught by Shaykh Abdul Qadir Jilani (q), it is a 4 raka’at prayer, done at one go with one salam at the end. It is done, so that the reward of it is donated to all people whom you have harmed and sinned against, so that Allah will use the reward to satisfy their claims on the Day of Resurrection, if He so wills. Read about it here. 1) Do check with the host when it is convenient to visit. Do not surprise people. 2) Do not make the host wait – if you have promised to be at his house at 2pm, be there at 2pm. The host may himself wish to visit others, and by being late, you are inconveniencing the host. 3) Do not go with the intention to collect money. The intention is to join family ties and to spread love and forgiveness. 4) Do not comment on the amount of money given to you or your children. Some people say things like,”Oh, what a stingy guy, he gave my son $2, but we gave his daughter $5.” Such words are evil back biting and also destroys your amal. Be sincere in giving, and expect nothing in return. .
5) Do not over eat. Remember, your body has been fasting for one month, and is not ready for a sudden, massive increase in food. 6) Finally, do not overstay your welcome, as the host may have plans to go visiting too. So do politely check with the host, if you wish to stay on. 1) Do fast for 6 more days in Syawwal. You may fast on Mondays and Thursdays so as to get added reward and you may even make intention to pay back any fast you have missed at the same time. So that’s a 3 in 1 fast – the Sunnat fasting ofSyawal + Sunnat fasting of Mondays or Thursdays + Qadha fasting. Our Shaykhs fast for 6 days straight after Eid (from the 2nd to 7th of Syawal). 2) Do not fast when visiting – it is rude to the host, who may feel offended that you are not eating. 3) If guests arrive when you are fasting, it is best to break your fast and join your guests (you will still get the reward for fasting). Do not make your guest uncomfortable by fasting while they are eating. by Him who sent me as a Prophet bearing the Truth [bi’l-Haqqi Nabiyyan], no servant [of the Lord] will perform this ritual prayer [salat], without Allah causing the fountains of wisdom [yanabi’ al-hikma] to well up in his heart, and causing his tongue to speak with wisdom, and showing him both the sickness of this world and the cure for that sickness. By Him who sent me as a Prophet bearing the Truth [bi’l-Haqqi Nabiyyan], if someone performs this ritual prayer [salat], exactly as I have just described it, that person will not raise his head from his final prostration [sujud] until Allah has granted him forgiveness, and if he dies, he will die as a martyr [shahid] to whom forgiveness has been granted. By Him who sent me as a Prophet bearing the Truth [bi’l-Haqqi Nabiyyan], no servant [of the Lord] will perform this ritual prayer [salat], without Allah (Exalted is He) granting him—for every letter [harf] and every verse [aya] [of his Qur’anic recitation]—a makhrafa in the Garden of Paradise. So do try to perform this 8 raka’at Prayer. This entry was posted in Notes sent via email to mureeds and tagged Eid, Shawal, Syawal. Bookmark the permalink.